Peel the skin of the apples. Chop them into fine pieces or grate them completely into a microwave safe bowl. Break the piece of cinnamon and add it to the apple. Pour in 1/2 cup of water to it and microwave it at high for 6 mins. 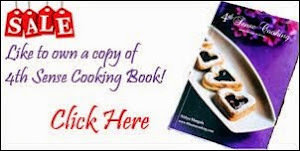 The apple would be completely cooked by now (you can also steam cook it in your pressure cooker for 1 whistle) Allow it to cool down. 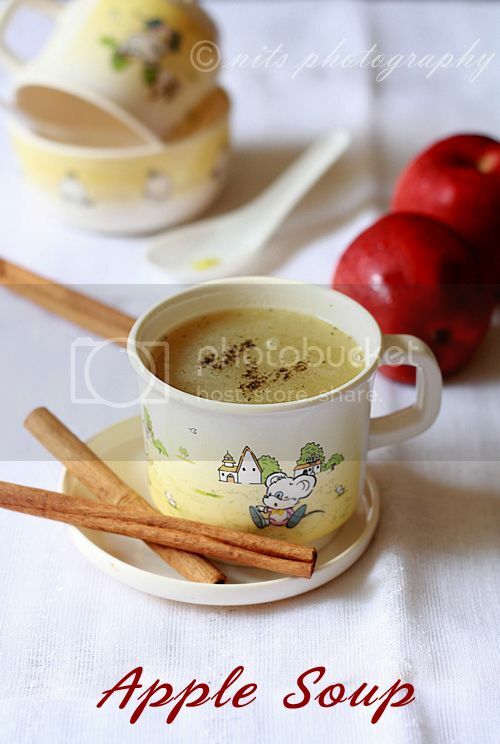 Remove the cinnamon pieces and grind the apple into a fine puree. Now add enough water to make it into soup consistency and boil it for few mins. Add pepper, salt and mixed herbs. Serve it hot with some bread sticks. Winners kindly email me your postal address to fourthsensesamayal@gmail.com with the subject as Kettle give away winners. congrats to the winners!!! and the soup looks very interesting!!! And,that soup is very different from the regular ones.Looks inviting. Delicious and inviting dear . 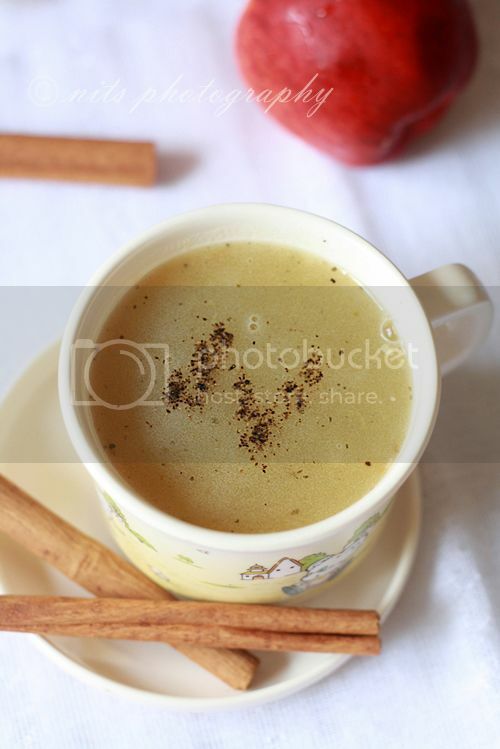 A perfect soup for winter.. Congrats to the winners..
Apple soup is new to me. Lovely snaps!! Congrats to the winners! Wishing you a happy new year Nithya. Apple soup is completely new for me, congrats to the winners. Congrats to the winners and Happy New Year Nithya! Wow !! Thrilled to get the hamper . Thanks a lot Nithya. Happy New Year Nithya! Loving this version of warm apple cider. 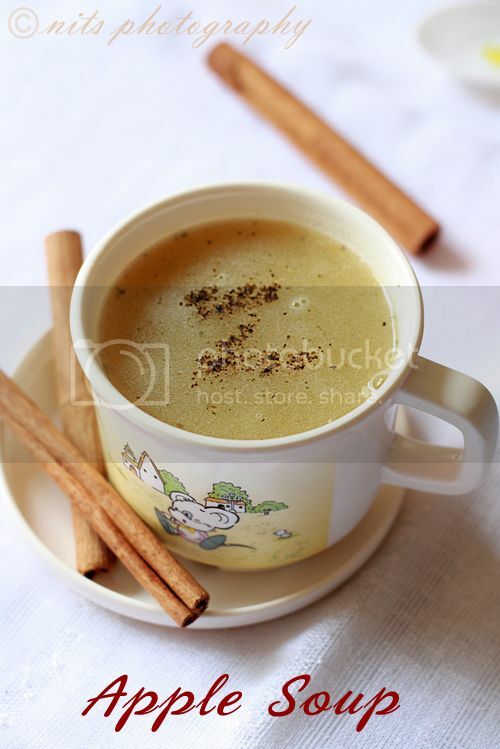 Holidays are incomplete without sipping a mug of warm apply cider. Hope you had a lovely new year. I feel thrilled to have won the Give Away :), my first time win at something online :)))! its good for health while i today i got great idea about it. Medical Privacy Screen I would like to say keep it up. 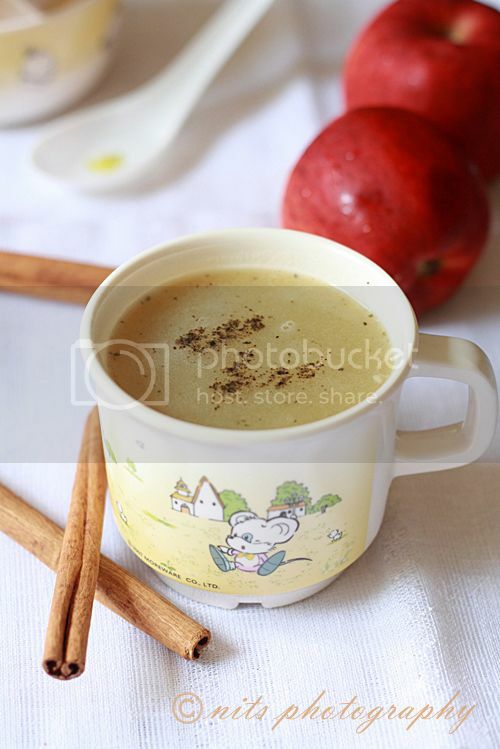 apple soup is good for health while its good for also who did exercise daily. write my essay services available and its world wide for students and teacher who deliver own lectures. Wow....apple soup very interesting and healthy for any people.Taking the time and actual effort to produce a superb article. Also, visit our sites GATE MCQ For Electrical Engineering Vol-2.